that membership is voluntary and non-political. fulfil the conditions of membership as set out in the WAGGGS constitution. In 2009 WAGGGS commenced a consultation process to understand what Girl Guiding and Girl Scouting should look like in 2020. The result positioned the Movement as one which is both life-changing and community- shaping for the girls and young women who participate. The World Association develops innovative education resources, runs advocacy and action programs, encourages volunteering on a global scale and through the World Centres offers a range of opportunities for international volunteering. In July 2011 WAGGGS launched a campaign to end violence against girls – ‘Stop the Violence – Speak out for girls’ rights’. Each member country interprets the campaign for its own circumstances and in Australia the focus has been on stopping bullying. he World Association develops innovative education resources, runs advocacy and action programs, encourages volunteering on a global scale and through the World Centres offers a range of opportunities for international volunteering. In July 2011 WAGGGS launched a campaign to end violence against girls – ‘Stop the Violence – Speak out for girls’ rights’. Each member country interprets the campaign for its own circumstances and in Australia the focus has been on stopping bullying. There are five World Regions (Africa, Arab, Asia Pacific, Europe, and Western Hemisphere) within WAGGGS. This regional grouping enables the sharing of resources, trainings and Trainers as well as facilitating regional conferences and events. 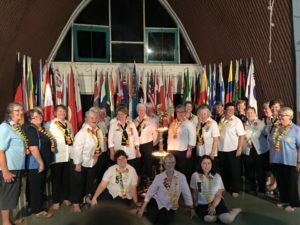 The Asia Pacific Region has 26 member countries and just over 3.6 million girls involved in Girl Guiding / Girl Scouting. The profile of the Asia Pacific Region is very diverse ranging from wealthy countries like Australia and New Zealand to countries struggling with poverty, natural disasters and political challenges. The Asia Pacific Region is running the 3L Life Long Learning Project which channels funds to member organisations to enable girls and young women to learn essential life skills. 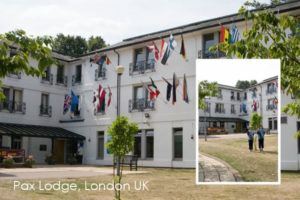 WAGGGS owns four World Centres which any member and her family may visit for a conference, seminar, training or holiday. These Centres give girls and women the opportunity to meet in friendship, learn more about other countries and cultures and develop understanding and respect for others. The Leader’s Handbook describes the four World Centres and the fifth World Centre pilot project. To keep abreast of what is happening in World Centres and international Guiding consider membership of ‘Friends of World Centres’. 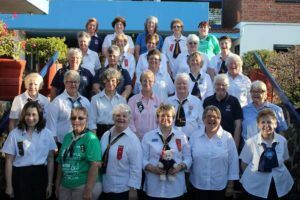 Their regular newsletters contain current news from each World Centre, reports and photos from members, upcoming opportunities, fundraising information and program ideas. 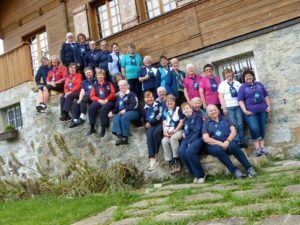 All States have International Managers who are responsible for stimulating and maintaining interest in the worldwide aspect of Guiding. In the larger States Regions might have a team member responsible for working with the International subcommittee and are a repository of resources and advice. WAGGGS World Centres are located in Africa, India, Mexico, Switzerland and the United Kingdom. Visit the WAGGGS website here for more information on the World Centres.